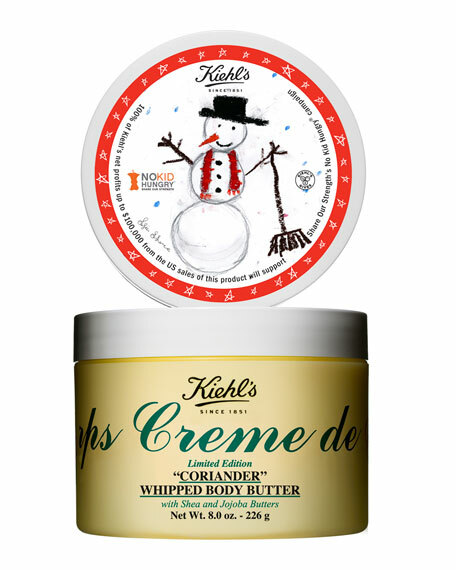 Kiehl's Since 1851 Limited Edition Creme De Corps Coriander Whipped Body Butter, 8oz. Kiehl's Since 1851Limited Edition Creme De Corps Coriander Whipped Body Butter, 8oz. The 5th Annual Limited Edition Creme de Corps Program. This holiday season, Kiehl's is proud to partner with a campaign to help end childhood hunger in America. Net Wt. 8 oz./ 226 g.